Last fall I posted about an “art installation” on Robinson St that was a collaboration between the DoubleTree Fallsview Resort & Spa by Hilton Niagara Falls and local artists. Well, the house, as well as the one beside it, have been torn down. A group of 18 passengers were stuck in an elevator for about two hours after it malfunctioned at the Skylon Tower Wednesday night. Niagara Falls Fire Chief Jim Boutilier said firefighters were called to the Robinson Street business at around 8:30 p.m. Working with elevator technicians and the Skylon’s maintenance staff, about 10 firefighters helped to manually lower the glass-enclosed elevator to the ground. It had stalled near the top of the 775-foot tower. After years of pouring foundations for many of the hotels in the fallsview area, Alfredo Costabile decided he wanted a hotel of his own. So, the owner of Alfidome Construction bought two side-by-side properties and went to work. “I have two girls and I thought this might be something good to leave for them,” he said. Costabile’s Canop Investments Inc. bought the Stanley Motor Inn and the neighbouring Fallsview Inn near the corner of Stanley Ave. and Robinson St. 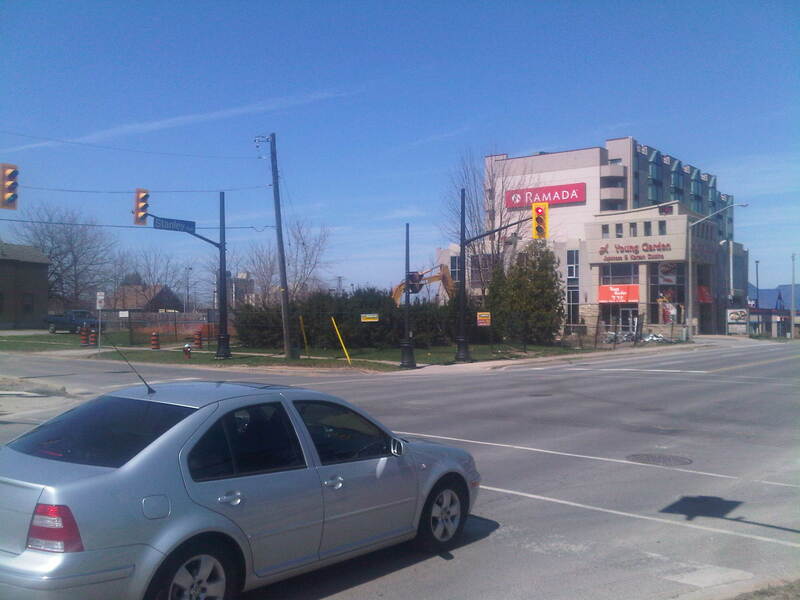 The former has been torn down and will be used for parking and possible future development. The latter, which had been a five-storey, 65-room hotel, was gutted. Over the last few years there have been several houses torn down at the corner of Stanley Ave and Robinson St. They have been unoccupied for a while, and were an eyesore. I’m not positive how many were torn down the other day, but I think it was 2. I’m a couple of months late on this, but I just saw the sign the other day. It was attached to the railing around the parking lot right at the corner of Stanley Ave and Murray St, right beside the old Hooters. 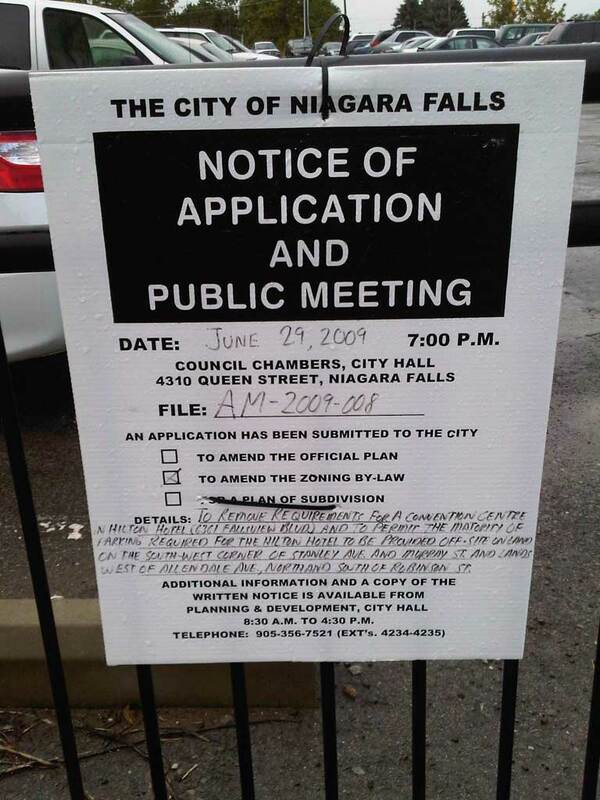 An application has been submitted to the city to amend the zoning by-law. To remove requirement for a convention centre in Hilton Hotel and to permit the majority of parking required for the Hilton Hotel to be provided offsite on land on the south-west corner of Stanley Ave and Murray St and lands west of Allendale Ave, Northland South, and Robinson St. There used to be a Jehovah’s Witness building on Stanley Avenue between Ferry St and Robinson St. They sold it a few months ago, and now it is being turned into a restaurant. 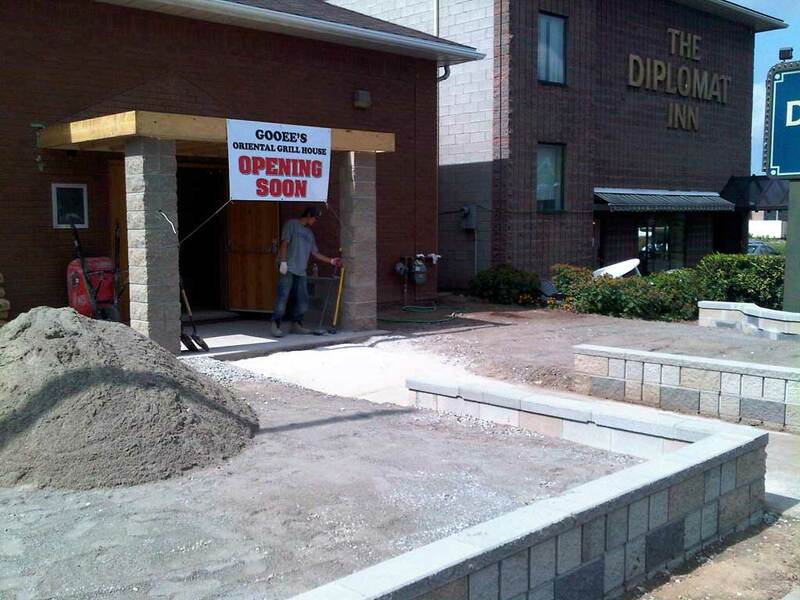 Apparently Gooee’s Oriental Grill House will be opening soon.